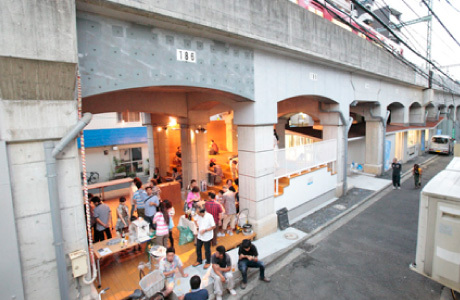 “Triennale in the City” is a plan to promote artists, designers, architects, and other professionals and businesses that are gathered around the Creative City Core Area and in other parts of Yokohama. 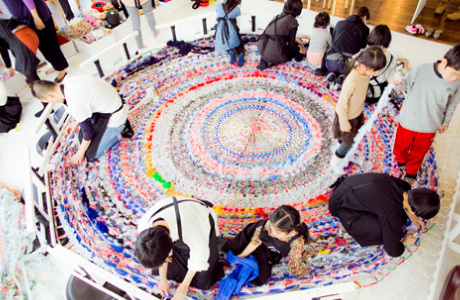 This plan, focusing on individuals and organizations that are engaged in creative activities during the Yokohama Triennale 2014, will highlight their contributions and efforts to develop the local community through arts and culture. The five bases will offer special programs during the Triennale exhibition period. Support Programs are open calls made to companies, organizations, and individuals who are interested in participating in and contributing to Yokohama Triennale. Yokohama is chosen as the host city of the "East Asia cultural city" with China and Quanzhou, and South Korea and Kwangju Metropolitan. "Yokohama triennial 2014" positioned as "the East Asia cultural city it is 2014 Yokohama specially the enterprise". The Creative City Core Area Bases are locations that utilize unoccupied office buildings and historical buildings along the waterfront areas such as studios and other spaces used for experiment and production. These tie-up programs will provide tickets that enable visitors to get discounted admissions to BankART Studio NYK and the Hatsuko/ Hinode Area, free shuttle bus transportation, and other services. Opened in January 2005. Managed by NPO BankART1929. 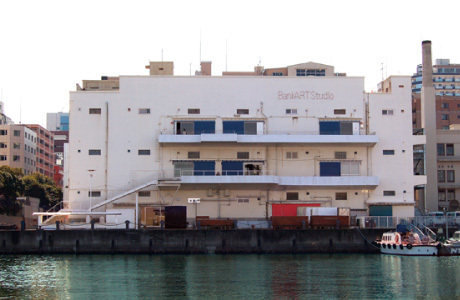 BankART Studio is a big open storage space that is used as an alternative space with a hall, galleries, studios, café and other functions to support the creation and support of cutting edge arts and culture. Programs include large-scale solo exhibitions of contemporary artists and artist-in-residency programs among others. The organization also has regular programs to exchange ar tists between Taiwan and Japan, as well as Korea and Japan. The NPO BankART1929 will present an expanded version of the “Contemporary Sequel for the Josen- Korean Diplomatic Expeditions,” a cultural exchange project that started in 2010. This time, the project will expand its coverage from Korea-Japan to China and other countries in the East Asian region, and will culminate in a comprehensive program consisting of a tour, residency program, and an exhibition. NPO BankART1929 will concurrently organize the fifth edition of the Landmark Project which brings art into historical buildings and other interesting locations in the local neighborhood. Established by NPO Koganecho Area Management Center which was founded in April 2009. Hatsuko/Hinode Area is a former red-light district that has promoted “urban planning through art” to gain safety and security in the community, working with the community members, companies, universities, police, and the city government. Since 2008, the Koganecho Bazaar, a contemporary art exhibition, artist-in-residency program, and other projects have been carried out with the cooperation of the local community. There is a commitment for further promotion of development through art, based on the policy to create a community vision. The Koganecho Bazaar is an annual art festival that started in 2008. The “Fictive Communities Asia” will exhibit works in and around the Koganecho area by approximately 30 young artists from Japan and other Asian countries. Established in June 2009. Managed by Wacoal Art Center. The terrace is an ar t space with a café that is located in the ZOU-NO-HANA Park that was built to commemorate the 150th anniversary of the opening of Yokohama Port. It is a venue that hosts various programs of a wide range including visual arts, performing arts, music and others, to open the venue for people and culture to encounter and connect with the aim to generate a new culture. ZOU-NO-HANA TERRACE will present an international exhibition of contemporary art produced incollaboration with disabled people and professionals from a broad range of disciplines. The 2014 edition of Smart Illumination Yokohama, a new type of art event that illuminates the night view of Yokohama’s waterfront in a creative way, will utilize energy-conserving technology, such as LED, solar energy, and other energy sources. Port Journeys is a new inter-city exchange project that connects port cities of the world creatively. With eyes on Yokohama as a nexus of international cultural exchange, directors from various countries that are participating in the Port Journey project have been invited to Yokohama this fall to gather in person and hold cultural exchange events including symposiums, exhibitions, and workshops. Established in October 2006. Managed by NPO Art Platform. The Steep Slope Studio is a former wedding hall turned into a performing arts space with four studios and a hall. 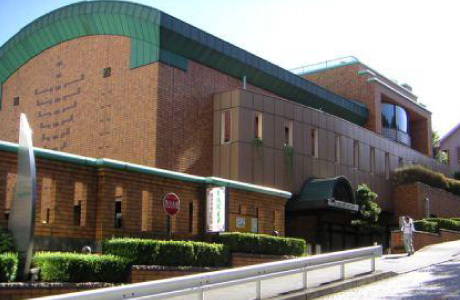 With an aim to become a place where artists based in Yokohama can form performing art companies and generate works, the organization provides production support and produces stage performances in collaboration with other theaters and performing arts groups. Steep Slope Studio will feature one of its support artists who will plan video works inspired by five motifs related to Yokohama in different locations of the city. Visitors will encounter these works in unpredictable locations and situations. Established in May 2009. Managed by Yokohama Arts Foundation. 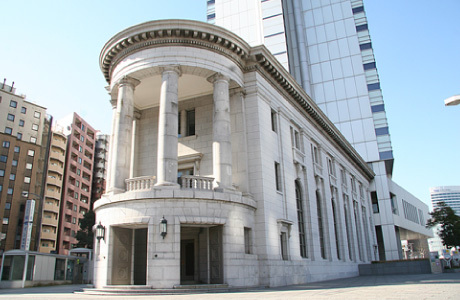 The Yokohama Creativecity Center converted the former Yokohama Branch building of Dai-Ichi Bank, a historical architectural building, into an art and community center that promotes the Creative City Policy of Yokohama, working on projects to attract artists and creators to Yokohama, working with them in building communities and matching their ideas with local business. Grant programs and other support programs are made available to promote these projects. An artist-produced café and lounge will be opened in the Yokohama Creativecity Center (YCC) for artists, visitors, and others to make contact with each other. An exhibit of works by Japanese, Chinese, and Korean artists, and school and other events will also be held in the space.